On Friday afternoon, Butterfield Dining Hall was given an official grand re-opening after the completion of the last outdoor and rooftop construction. 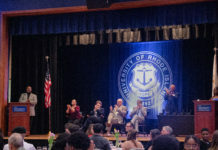 At the grand opening University of Rhode Island faculty, staff, students and distinguished guests, including URI President David Dooley, enjoyed a wide selection of food intended to showcase the new Butterfield menu. 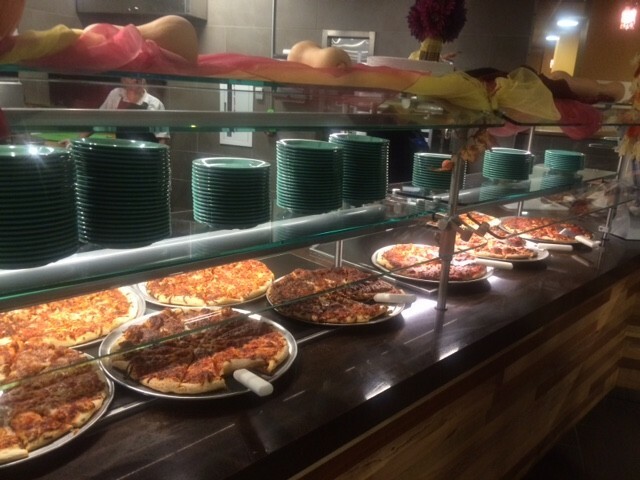 Options offered in the menu included the student-favorite chicken nuggets, a new burrito station, a newly-installed pizza station and quesadillas. 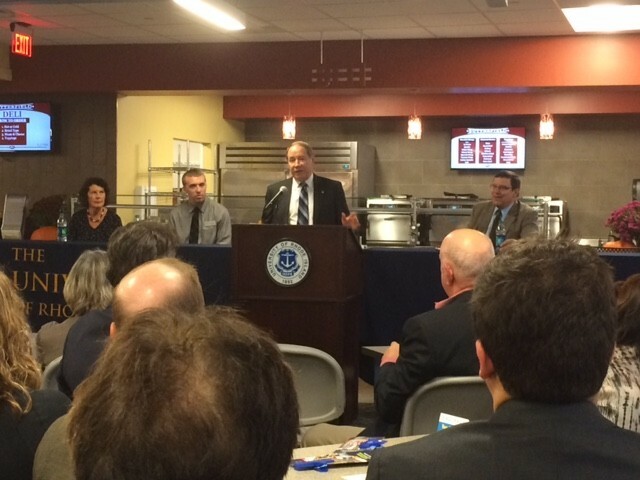 Dr. Thomas Dougan, vice president for Student Affairs, welcomed guests to the grand re-opening celebration with some fun facts about the dining hall. He said that since its opening this fall, Butterfield has served over 700 burritos per day and over 6,000 pounds of chicken nuggets. “You just can’t make that up,” he said. Dougan said the renovation increased Butterfield’s capacity from 350 people to 560 people, and achieved the ‘green’ target of LEED silver certification.